Louise has been bewitched by books since reading The Magic Faraway Tree as a child. She is currently working on a second novel (Arriving in Winter in the Place we Call Home) and a collection of poetry (Pea Green Boat). Street Level celebrates the architectural and cultural heritage of Dar es Salaam, documenting the vibrancy of the city through both word and image. The book's first and second editions (2011 & 2012) are illustrated by Sarah Markes and showcase poetry by Louise Hoole and other residents of the city. Black Rock explores the exile, death and afterlife of Napoleon Bonaparte on the remote Atlantic island of St Helena, drawing upon contemporary letters and memoirs to illuminate the intrigues of Napoleon’s last court. "Eloquent, beautifully written, grave and funny: all at once. Napoleon haunts the island, and the island haunts everyone else, including the novel's author... Black Rock reads as many things, and one of them is as a love letter to St Helena." Fiona Shaw (Tell it to the Bees, A Stone's Throw). Black Rock was the recipient of the 2015 Benjamin Franklin Award for best cover design (small format, fiction) and can be ordered from amazon.co.uk or amazon.com. 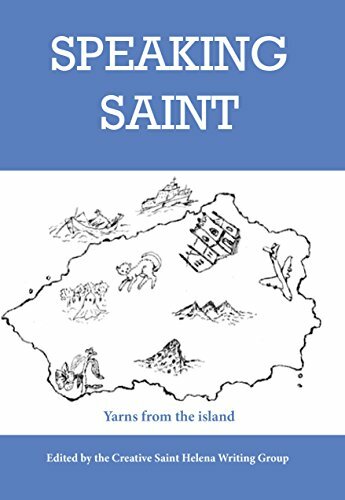 Speaking Saint is a collection of poems and stories from one of the most isolated islands on earth. Exploring both the exceptional and the everyday, 23 writers and residents from St Helena paint the unique passions, hardships and humour of life 'on the outskirts'. Featuring poetry from Louise Hoole.